[Prolog] Well, 4 jam di depan laptop ternyata tidak menyurutkan semangat saya untuk menulis blog yang ingin saya tulis dari malam sebelumnya. Masalahnya adalah saya lupa topik apa yang pada malam itu mau saya tulis. Jadi kesimpulannya, 4 jam di depan laptop hanya untuk mengingat dan mencari tau topik yang sedang saya inginkan (tingkat kepikunan sudah akut). 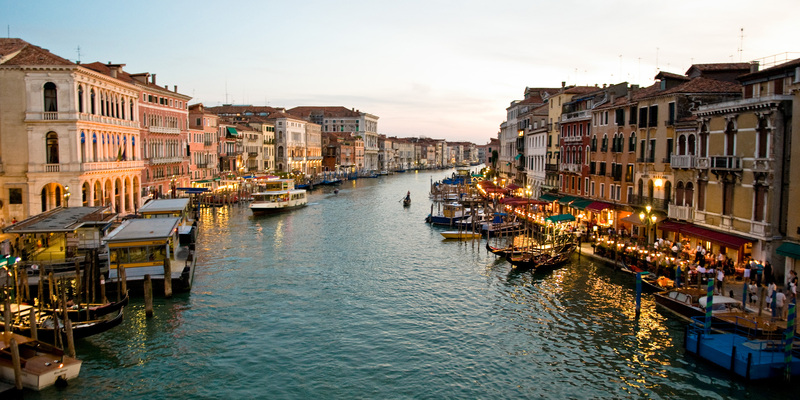 From so many countries in Europe continent, I'm interested to Venice in Italy. Yeah, the scene when Anna and Calder (in the movie) kissing on Gondola was in Venice. Well, that scene makes me so envy and keep imagine it even I'm sleep. God damned Mandy Moore, she went to the most romantic place and kissed a super hot guy, Mathew Goode (see him in my before articles --> Pengganggu Pikiran Saya). I saw this beauty place too in The Tourist, Angelina Jolie and Johny Depp's Movie. Okay, how about with bungee jumping? I think spur on adrenaline is a great idea to let out our weary. Like I did when I broke up awhile with my boyfriend. I was let everything out at Dufan by took a ride Halilintar, Kora-kora, and Hysteria. LOL XD How great day that was! And bungee jumping, I saw the scene of Chasing Liberty when Anna and Calder hugs each other then jumping from above of bridge in Austria. See the sunset from above bridge with my husband is my desire that I can't imagine. Hahaha... I'm so expected to find panorama like the village, where there's just me, reedy large field, the river with clear and cold water, cloudy sky, and wind blow softly. Hmmm... Where I can find the place like that? England, France, Netherland, and Swiss are the countries that I want to visit too. Chasing Liberty inspired me to go abroad. Maybe somebody would say, "Tidur dulu baru mimpi" and hesitate your dream. But don't remind it, keep your dream while they laughing your dream.